Stretch tent hire from Earth Village Events. Market leading providers of bespoke events with years of experience in the event industry. An Earth Village Events stretch tent will make your party truly unique. Enquire now to find out how our bespoke marquee lighting and decor service can enhance your party and take your event to the next level. 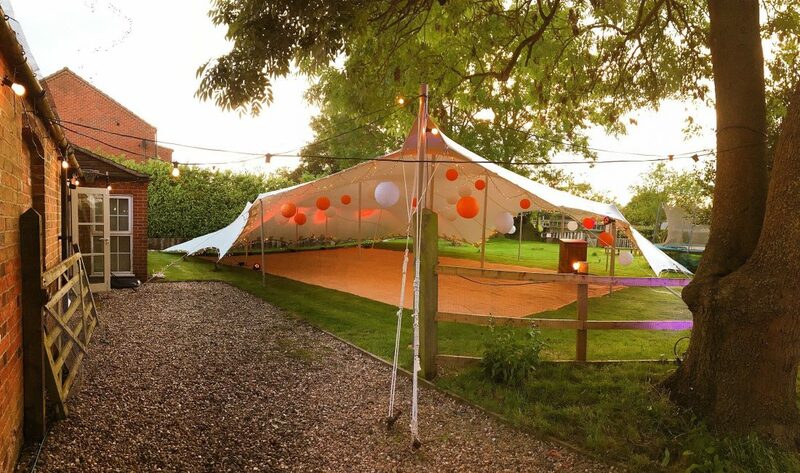 Looking for a vibrant stretch tent hire provider? Established in 2012 Earth Village Events has been providing stretch tents for many a party including (but not just): WEDDINGS, BIRTHDAY PARTIES, FESTIVALS, ANNIVERSARIES. Our stretch tents are striking and elegant structures. They can be rigged in a variety of ways. We always listen carefully to your requirements to make sure that the tents configuration will meet your design ideas and fit perfectly in the space provided. Each tent always looks unique as we offer a bespoke service to include theming and decor. 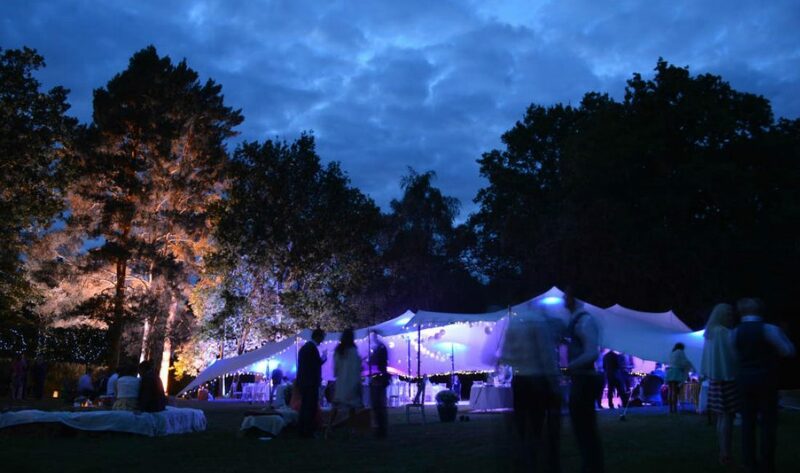 Our stretch tent marquees will not fail to impress with their aesthetic appeal giving any event a delightful charm. Equally suited to weddings, garden parties, product launches, corporate hospitality, music events and festivals. Our stretch tents can be dressed up and decorated in many different styles. A stretch tent is the perfect choice for anyone looking to create a memorable atmosphere in a luxury marquee. Our stretch marquees can cater for small garden parties of 40/50 right up to much larger events with hundreds of delegates. We can even join them together to form free flowing structures ideal for larger weddings and festivals alike. 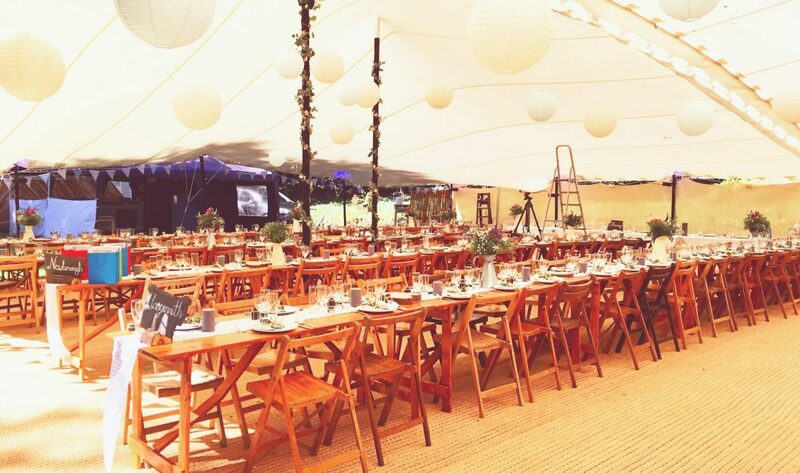 With our bespoke lighting and decor design we can help you to transform the inside and the outside of the tent into delightful, welcoming spaces to entertain your guests. In our humble opinion stretch tents are one of the best looking wedding marquees on the market today. 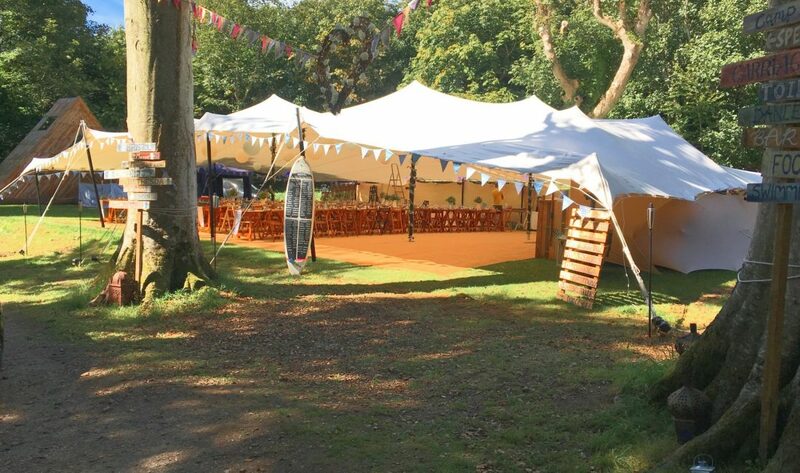 Our marquees are very adaptable and by joining more tents together we can help you to create a wedding festival feel and provide a smooth transition from the dining tent, bar and dance tents. 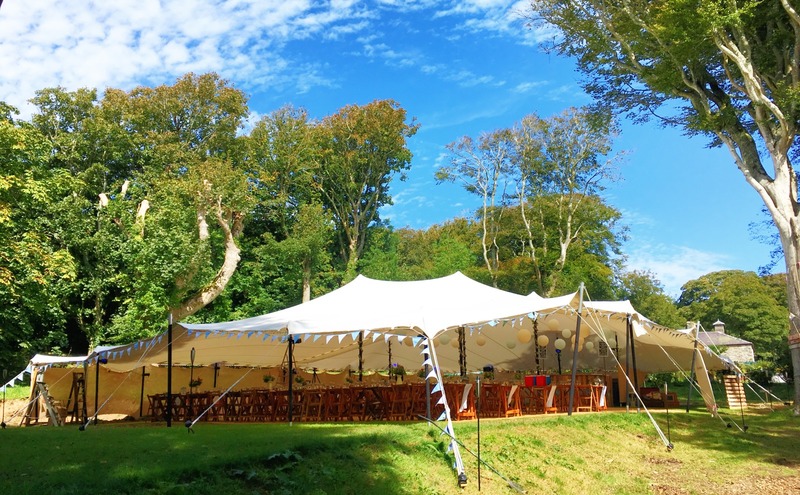 Whether you are looking to create a stylish and modern stretch tent wedding or a down to earth, natural look, stretch tents can be dressed up and adapted to suit any style.